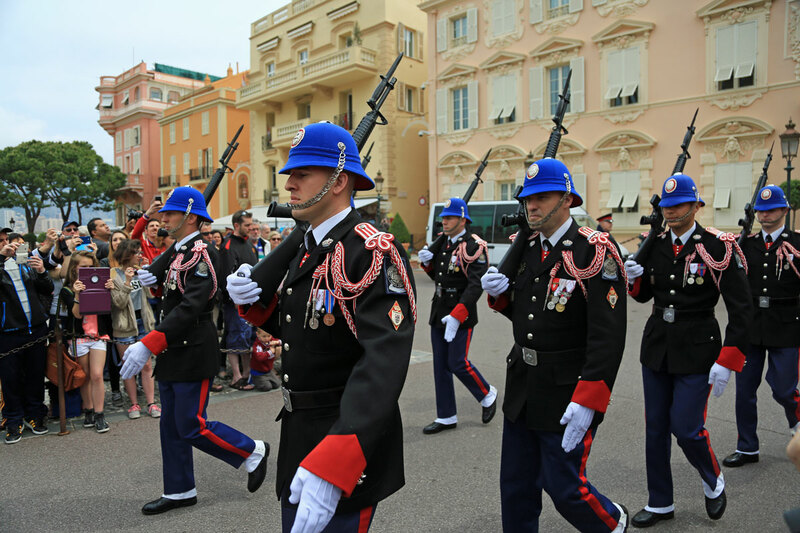 Almost every tourist in Monaco comes to see the Changing of the Guard, a 10-15 minute ceremony featuring a lot of stomping and clanking of guns. Every day at 11.55. The ceremony commences from the guard house on the opposite site of the square to the Palace and reverse. The chains across the square indicate where the guards will pass by.